Corruption is the disease that rots a society from inside and leaves it hollow and worthless. Not only some but all are responsible for increasing corruption either by doing it or not opposing it. India is becoming the hub of corrupt people who is not tolerable at all. These people must be ejaculated from our society. This is the season of scams and the biggest ever corruption cases in India have been unearthed more recently. So, we decided to dig deep to see which scams were the biggest and most damaging to the country and its citizens alike. In our daily life, we see many of the examples of corruption but we do nothing to solve it. It could be in the form of a taxi-driver manipulating the meter to jack-up the reading or a government officer taking bribery to promptly transfer your file to the next department. Another daily example can be seen as when we violate any traffic rules, we prefer to give bribe to traffic police rather than putting ourself in trouble. An average Indian citizen is hard-working and diligent, but it is the people in charge of the system (The Babu’s) or with whom the power lays, that act as cancer spreading the venom, slowing down progress and what all not. But, somewhere down the line, we ourselves are responsible for allowing and being taken for a ride by these people, aren’t we? However, it is during a multi-thousand crore scam, that a taxpayer actually realizes the heartburn of being cheated from his valued contribution of funds towards the development and well-being of the nation. But, that’s what a scam, be it big or small, means – the act of swindling by some fraudulent scheme or action. We had a number of scams in India that are infinite, but none bigger than the scam involving the process of allocating unified access service licenses. 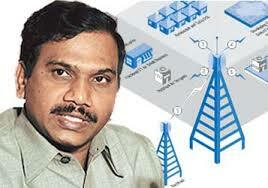 At the heart of this Rs.1.76-lakh crore worth of scam is the former Telecom minister A Raja – who according to the CAG, has evaded norms at every level as he carried out the dubious 2G license awards in 2008 at a throw-away price which were pegged at 2001 prices. The Central Vigilance Commission, involved in probing the alleged corruption in various Commonwealth Games-related projects, has found discrepancies in tenders – like payment to non-existent parties, willful delays in execution of contracts, over-inflated price and bungling in purchase of equipment through tendering – and misappropriation of funds. As they say, every scam must have something unique in it to make money out of it in an unscrupulous manner- and Telgi scam had all the climax that the scandal needed to thrive and be busted. Abdul Karim Telgi had mastered the art of forgery in printing duplicate stamp papers and sold them to banks and other institutions. The tentacles of the fake stamp and stamp paper case had penetrated 12 states and was estimated at a whooping Rs. 20000 crore plus. The Telgi clearly had a lot of support from government departments that were responsible for the production and sale of high-security stamps. 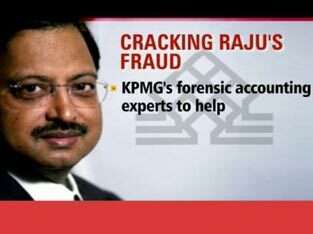 The company’s disgraced former chairman Ramalinga Raju kept everyone in the dark for a decade by fudging the books of accounts for several years and inflating revenues and profit figures of Satyam. But however, after that the company was taken over by the Tech Mahindra which has done wonderfully well to revive the brand Satyam. If you haven’t heard of Bihar’s fodder scam of 1996, you might still be able to recognize it by the name of “Chara Ghotala,” as it is popularly known in the vernacular language. In this corruption scandal worth Rs.900 crore, an unholy nexus was traced involved in the fabrication of “vast herds of fictitious livestock” for which fodder, medicine, and animal husbandry equipment was supposedly procured. The Hawala case to the tune of $18 million bribery scandal, which came in the open in 1996, involved payments allegedly received by country’s leading politicians through hawala brokers. From the list of those accused also included Lal Krishna Advani who was then the Leader of Opposition. Thus, for the first time in Indian politics, it gave a feeling of open loot all around the public, involving all the major political players being accused of having accepted bribes and also alleged connections about payments being channelled to Hizbul Mujahideen militants in Kashmir. Well, we all know the recent scams occurred in IPL. I am running out of time and space over here. The list of scandals in India is just not ending and becoming grave by every decade. Most of us are aware of the recent scam in IPL and embezzlement with respect to bidding for various franchisees. 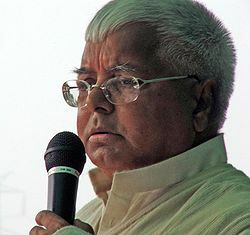 The scandal already claimed the portfolios of two big-wigs in the form of Shashi Tharoor and former IPL chief Lalit Modi. Although not corruption scams, these have affected many people. There is no way that the investor community could forget the unfortunate Rs. 4000 crore Harshad Mehta scam and over Rs. 1000 crore Ketan Parekh scam which eroded the shareholders wealth in form of big market jolt. So, can we live a scam-free life in India for a while now? 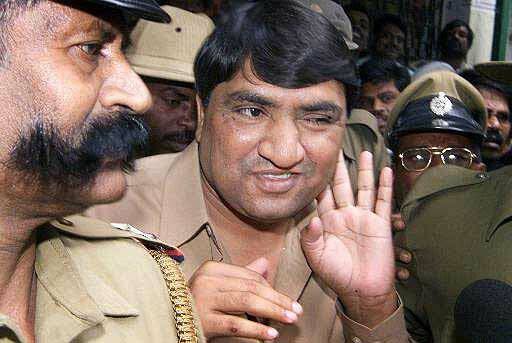 just read dis article on top 10 corruption scams in INDIA I was just flabbergasted by these scams. I think every INDIAN must know about these. Share it guys it will be an eye-opener to the people of India. Only then people will unite and support other parties to make India a corruption free country.